Iconic isn’t enough to describe the eminence that the S-Cross holds in the annals of automobile glory. Because the S-Cross is not just a car, it is a legend. Bold and breath-taking, audacious and alluring, it draws attention wherever it goes, without even trying. Strong as strength, lasting as time, the S-Cross is a car for keeps. Driving on the road, The All-New S-Cross is impossible to ignore. Adorned with an all metal grille, it exudes a sense of aggression that demands a second look. The vertical bar design is bold and dominating. With strong design lines, a muscular stance and a chrome-tipped grille, it’s not just a car, it’s a statement. With new signature LED Tail Lamps, The All-New S-Cross leaves a lasting impression. 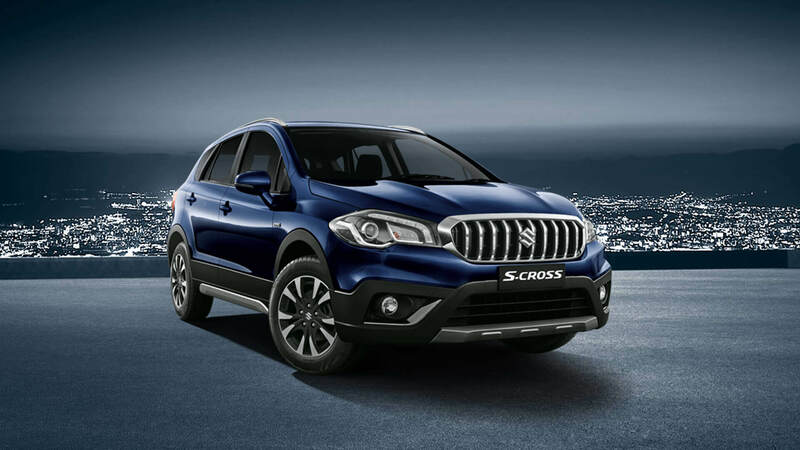 The Maruti Suzuki S-Cross is a bold and dynamic Crossover meant to rule the road. The All-new S-cross comes with an aggressive front metal grille whose vertical bar design makes a bold statement. The strong design lines, a muscular stance and a chrome-tipped grille make it impossible to ignore S-cross. It comes DDiS 200 Smart Hybrid Diesel Engine. Paired with an Integrated Starter Generator (ISG), it not only improves fuel efficiency by supplementing the engine’s power but also enables better acceleration and all-around performance. It has Idle Stop-Start, Brake Energy Regeneration, and Torque Assist Function & Gear Shift Indicators. 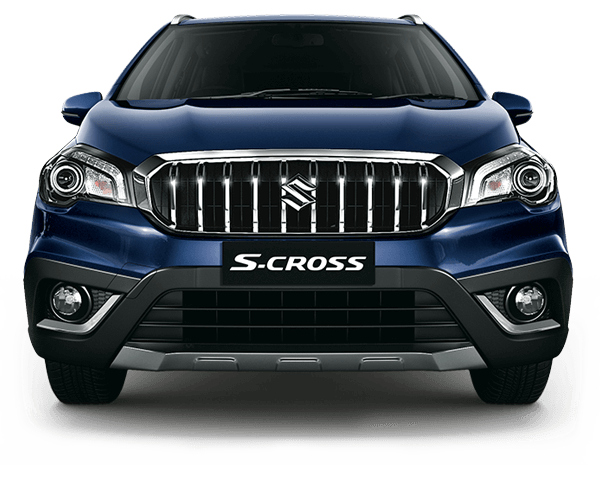 The Key features and specifications of Maruti Suzuki S-Cross are as given below. Maruti Suzuki S-Cross Diesel Smart Hybrid variants include – Sigma, Delta, Zeta & Alpha. The Smart Hybrid Diesel Engine in S-Cross gives a fuel efficiency of 25.10 km/lt. 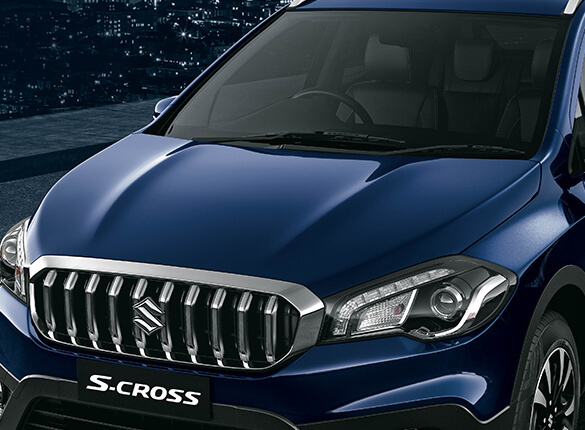 The Maruti Suzuki S-Cross is created to inspire power. 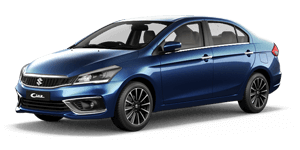 Its striking front features include a bold new front metal Grille and the sharp and confident crystalline looking LED Headlamps. The dynamic machined Alloy wheels lend the car a muscular stance. 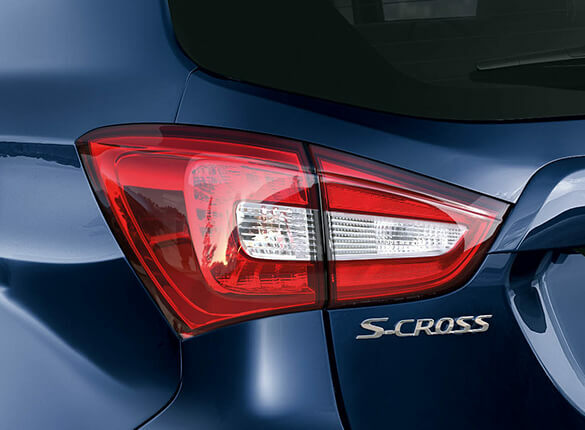 The new signature LED Tail Lamps makes every head turn as S-Cross cruises by. Some of the essential exterior features of S-cross are Rain sensing auto wipers, Internally adjustable ORVMs, Roof Rails, and Skid Plate Garnish. The luxurious interiors along with generous seating space make Maruti Suzuki S-Cross the most popular Crossover. S-cross is very flexible with its 60:40 Reclining Rear Seat, hand luggage board and large Boot opening. The rear seat comes with a two-position seatback adjustment. Other convenient Interior features include Adjustable Telescopic & Tilt Steering, Vanity Mirror Lamps, Sunglass Holder, height adjusted Driver Seat, Driver Side Auto Up/Down window with anti-pinch, Sliding Front Centre Armrest with storage and Rear Centre armrest with Cup holder. The Maruti Suzuki S-Cross comes with a High definition TFT Multi-Information Display that makes it convenient to keep a track of your car’s vital information. This includes fuel consumption, energy flow, trip details, driving range and gear shift indicator (MT). The S-Cross has an integrated SmartPlay Infotainment System with Android Auto, Apple Car Play and MirrorLink that provides easy access to smartphones and ensure seamless entertainment. It also has Intelligent Keyless entry & Steering Mounted Audio & Calling Controls. The Cruise Control makes longer journeys more comfortable with the electronic control system that lets you pick any cruising speed over 40 km/h. 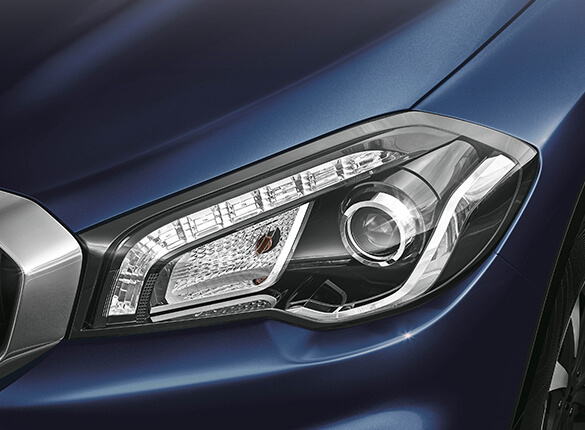 The All-new S-cross comes with Rain sensing Auto wipers that detect rain and start automatically. They regulate frequency according to the amount of rainfall while the rain sensitivity can also be controlled. S-Connect or Suzuki Connect is an advanced telematics solution. 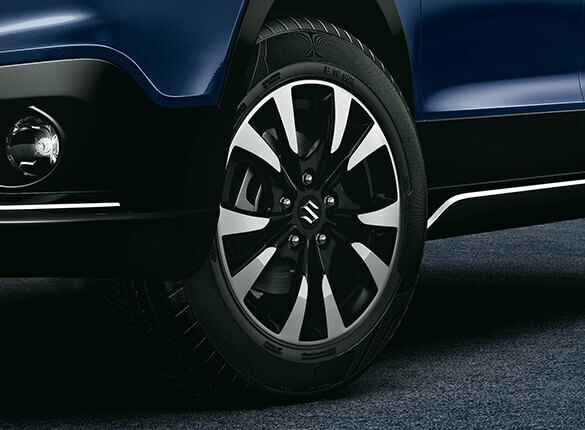 Suzuki Connect helps you connect to your car by providing a wealth of features and information that enhance your on-road experience. From your vehicle’s maintenance to helping you drive better and even save fuel, Suzuki Connect will ensure that you and your S-cross become a part of a better-connected world with features like Vehicle Tracking, Emergency Handling, Driving Behaviour Analysis, and Live vehicle status. The Maruti Suzuki S-Cross is equipped with the Nexa Safety Shield, a collection of advanced Safety features that adheres to the highest safety standards, designed to keep passengers safe in various situations. It is based on Suzuki-Tect body, i.e. Suzuki’s Total Effective Control Technology (TECT). This concept results in total absorption and dispersion of crash energy. The extensive use of high tensile steel for major parts makes the body light, strong and safe. Standard Safety features across all variants included in Nexa Safety Shield are Dual Front Airbags, ABS with EBD, Isofix Child Seat Anchorages, Seat Belt Pre-tensioners with force limiters, Pedestrian Protection Compliance & Full frontal impact compliance, frontal offset impact compliance & side impact compliance. S-Cross also has Rear Demister, Auto-Dimming IRVM, Reverse Parking sensors, Anti-theft Security system, Seat belt reminder (Driver + Passenger) & High-Speed warning alert. With these host of safety features, S-Cross assures complete safety at all times. The All new S-Cross crossover comes in five elegant colours; NEXA Blue, Caffeine Brown, Pearl Arctic White, Premium Silver, and Granite Grey. 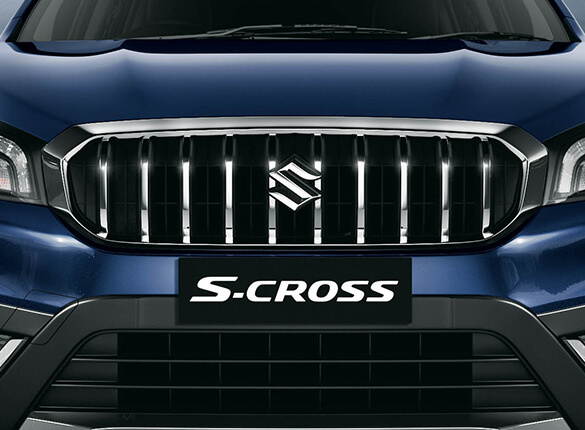 The base variant Maruti Suzuki S-Cross ex-showroom Mumbai starts from approx. Rs. 8.85 lakh whereas the Mumbai On-Road price of top variant goes above 14 lakhs. 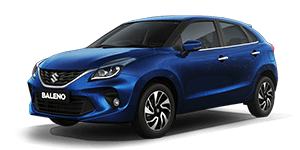 To Book, a Doorstep Test Drive or Buy a Maruti Suzuki Nexa S-Cross Car in Mumbai, Thane & Palghar from Shivam Autozone Nexa showroom, call 86002 88888 or click here.